As Rangers fast approach the split, and the subsequent end of the season, attention turns in earnest to the new campaign and who manager Steven Gerrard is going to bring in. More importantly, however, is who goes out. Rangers must have broken a record for the number of loans we put out over recent windows, thanks to previous regimes’ foolhardy spending and signing of players just not fit for purpose. So Ibrox Noise takes you through all the likely departures this summer – be it loan out again or permanent. The English goalie has had a good old time down at Scunthorpe, and is said to be disinterested in playing number two at any club. He will either have his loan renewed or be sold to any willing buyer. 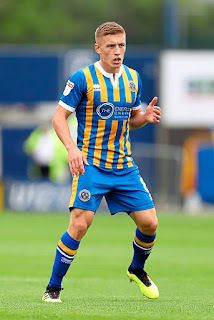 Much the same description as Jak, but without getting game time down south, Wes has never been happy at losing his place – he knows he isn’t getting it back so with the interest in him from Championship and League One sides still strong, we can’t see him beyond the summer. Never been a favourite of the manager, we can see this veteran moving on come the summer. Maybe into coaching. He’s done not bad at St Mirren (ever present when fit/available) and they’d probably want it permanent – was never able to shift Tavernier at Ibrox and that isn’t going to change. A cut-price deal for the NI international could earn Rangers a small profit. Contract expires, it won’t be renewed. Strange one this – a lot of Rangers’ season has centred around this lad’s future, and with all the hype about his position at Ibrox and desire to stay/leave. Ultimately he’s here till the summer and we’d be truly stunned if he isn’t on the first bus back to Nottingham come June 1st. Never in favour under Gerrard even when fit, Rossiter has had a good time at Bury but no matter how impressive he is there, we can’t see him breaking into Rangers’ first time under this management. The loan south will probably just get extended. Back at Ibrox after a season-ending injury, Holt had a good time at Fleetwood but will not get back into Rangers’ first team. He’ll hope he’s fit by the summer to get another move. Be it loan or permanent. Been a disappointing spell at Ibrox – the Malian barely featured this calendar year and he’ll be back to Angers barring something bizarre this summer. Something tells us his bringing peace to the Middle East wouldn’t be enough for Stevie – we can see his loan at Shrewsbury either extending or being made permanent. We’d love it to work out for Dorrans but information is he’ll be released under the mutual consent moniker. Shame, he has tonnes of talent, but just can’t stay fit. We’re just not going to pay £7M for this lad. Extraordinary when he’s in the zone but not there often enough, it’s not great value given our budget. It will either be another loan for him or he’ll get sold this summer to the highest bidder. A real disappointment of a signing, Lafferty could go out by mutual consent or he could stay on his nice wage and run his deal down. If he has any ambition it will be the former. He wants his move, he’ll get his move. He’s still ours but if he’s a Gerrard regular next season we’ll eat our collective hats. You probably forgot about him! Either mutual consent or another loan out. These are the most notable ones – there are many more as well who are at major risk of the Ibrox chop. Gerrard says otherwise but we can see another summer of change, maybe not as dramatic as previous ones, but a lot of exits. Fair comment. I think Morelos will stay but can’t disagree with rest. Cleaning up wage bill would have been part of SG,s remit. Many on here were inherited. So SG will have a better window this summer. He also has learned that Scotland is in Stone Age in both football, refereeing and administration. Next year will be our year. -Docherty who I think and hope may have done enough this season to persuade SG of his value. Agree with most ,not sure about Docherty and Rossiter who were both sent out for game time .Hard to read how S.G rates them both .Dorrans is a strange one , why would he leave by mutual consent when S.G has already said he rates him and Dorrans is a Gers fan .If he could get fit he would play and if he can`t where would he go when released ? I wonder if he is being forced to retire.